The next Center TEFAP Commodity will be today, Tuesday, May 30, in Center from 1:30 – 3:30 p.m. in Center at the Kiwanis Building at 5th & Broadway. If available, please bring proof of income, residency, and photo id. If you are having someone pick up for you, don’t forget to send in your proxy form. Saguache County seniors are taking advantage of the SHED (Saguache Healthy Elders Discount) program and saving hundreds of dollars every week at the 4th Street Food Store. 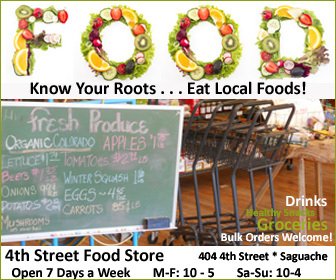 The weekly truck arrives with more food to re-stock the shelves at the 4th Street Food Store in downtown Saguache. 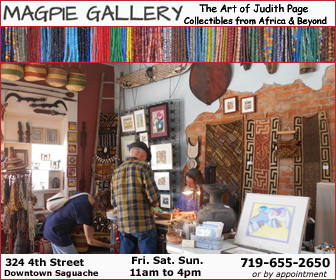 Photo: Saguache Today/Lynn Nowiskee. 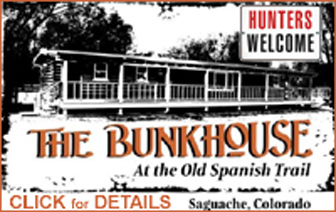 To sign up for SHED membership, you must be 60 years of age or older and reside in Saguache County. 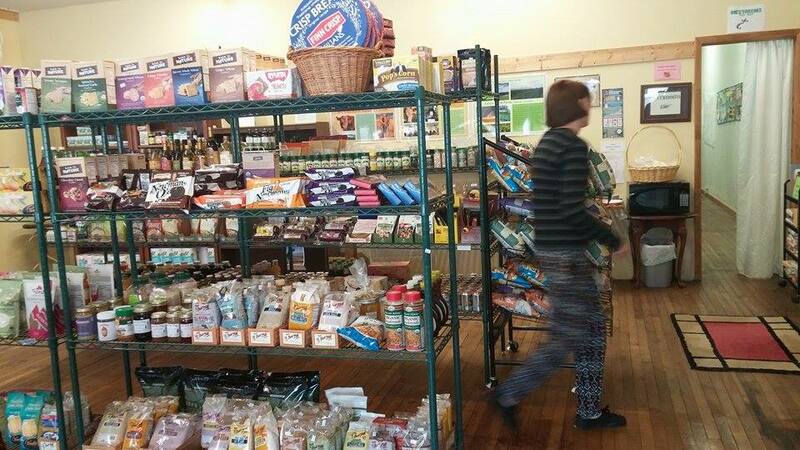 Members receive a 20% discount on all food purchases at the nonprofit grocery. Ride-share and/or grocery delivery service also is available through SHED. 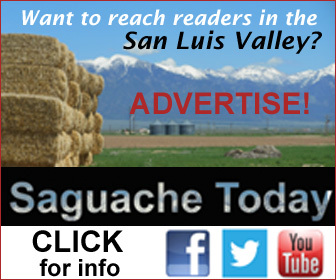 The program, started last fall with generous support from the Saguache County commissioners, is intended to help seniors on fixed incomes who earn too much to qualify for other assistance but still struggle to make ends meet. 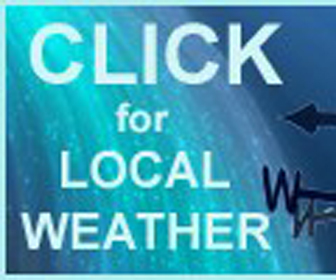 Participation is increasing steadily as awareness of the program grows. Nearly 40% of our customers now are taking the SHED discount, and we encourage eligible residents to do so as needed. 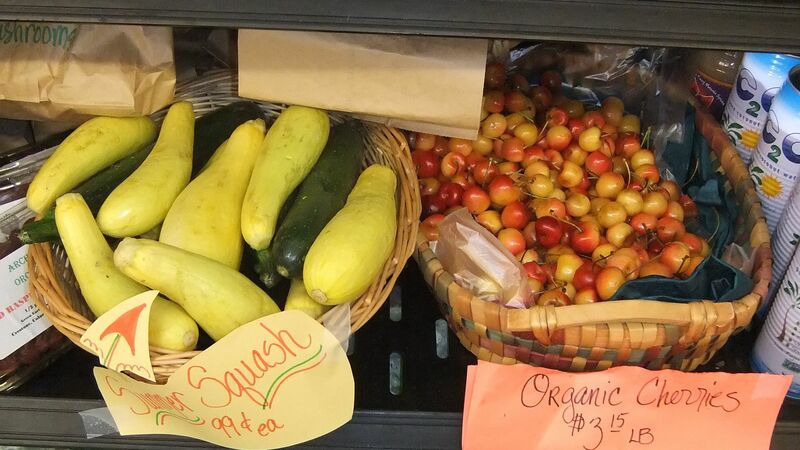 From squash to cherries, summer’s fruits & vegetables are coming soon to 4th St Food Store. With the discount, on prices already significantly lower than those offered at comparable health or local food stores, low-income residents no longer need to drive 100 or so miles roundtrip to shop for healthy choices. 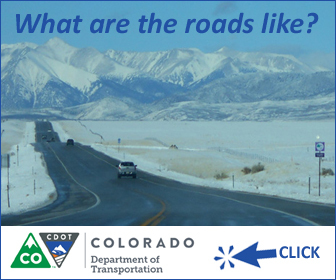 That saves time, gas money, wear and tear on vehicles, and it keeps more tax dollars in Saguache County. 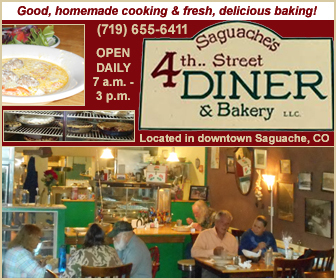 The 4th Street Food Store, a nonprofit project of Saguache Works, is dedicated to providing affordable access to fresh, healthy food, to supporting Valley food producers and to creating jobs for area residents. Lower prices, and SHED discounts, leave very little margin to cover overhead expenses and to pay store staff. 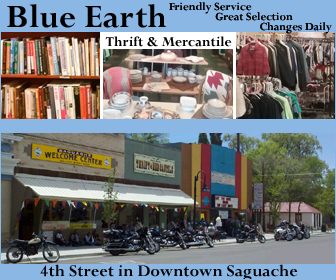 Saguache Works very much appreciates, therefore, those senior customers who can afford to pay full price and decline to take food discounts. 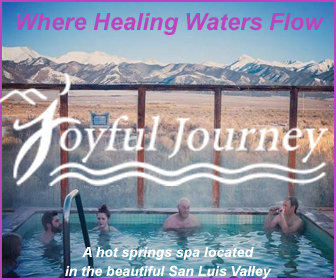 To sign up for SHED, or to inquire about ride services, stop by the 4th Street Food Store, at 404 4th St. in downtown Saguache, or call 719-655-0216. 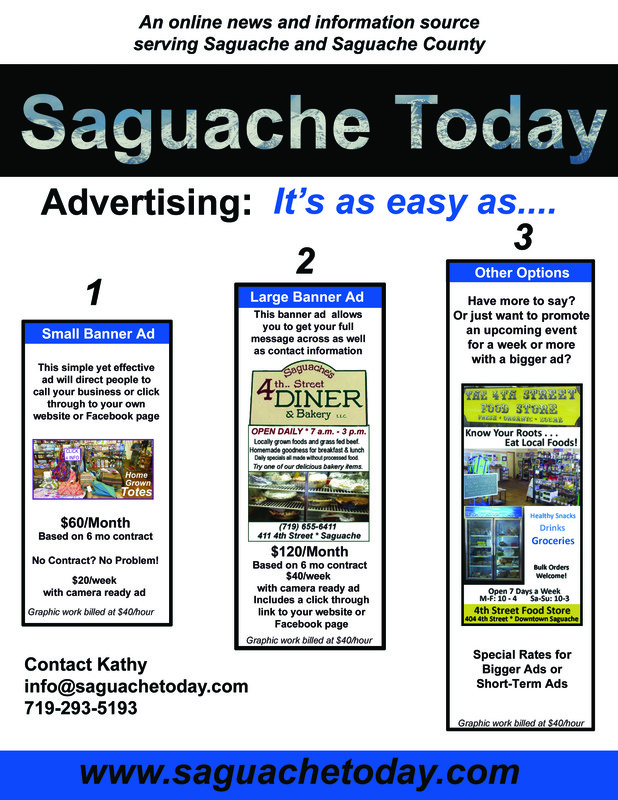 This entry was posted in Uncategorized and tagged Saguache, Saguache business, Saguache Colorado, Saguache County Colorado, Saguache Food Distribution, Saguache Today, Saguache traffic, Saguache weather, SaguacheToday.com. Bookmark the permalink.